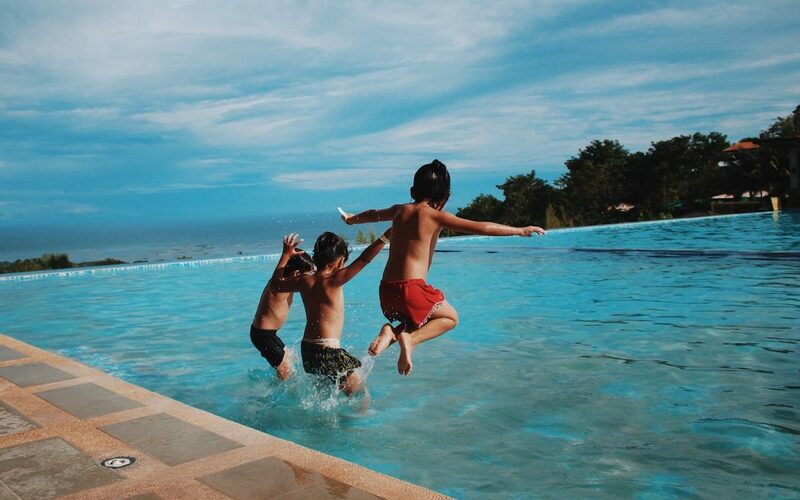 When it comes to your swimming pool, safety is key. While you want to enjoy the water, you never want to risk your loved ones getting hurt. The best way to keep everyone safe, including your children, is to have proper safety precautions in place. One of the best safety precautions you can install is a swimming pool gate. There are a number of things you should look for in any swimming pool gate and fence design. These regulations are in place for a reason. They are based on scientific testing and expert advice about the safest possible enclosures, fences, and swimming pool gates. To make sure your swimming pool gate and fence are secure, we suggest always checking that they meet these regulations. Children can find ways to climb almost anything. But, a swimming pool gate and fence are of no use if your kids climb over it. Given this, it is important to check reviews before you buy a gate or fence to make sure that it is not climbable. Remember, don’t place your fence or swimming pool gate near anything that could offer a climbing assist — like a wall. This point should be common sense. You do not want a fence that can be bent or folded down. Similarly, you want to make sure that your swimming pool gate – and its lock – cannot be bent, broken, or popped off. There are a number of tragedies that have occurred because parents have forgotten to close their swimming pool gates. That is why all swimming pool gates should be self-closing. This way, you never have to worry that your gate will be accidentally left open. Although swimming pool gates and fences are key parts of pool safety, they are not the only part. To provide additional safety, you should have a pool cover, so that your water is not accessible unless you are using your pool. Remember, no safety precaution is as effective as adult supervision! Hosting a children’s pool party this summer? Follow these simple suggestions to keep the party safe and fun.